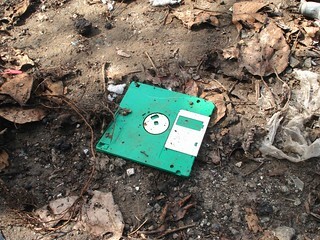 You are here: Home / Level 3 - Web-based Citizen Science / Debris disks – needles in the haystack? Debris disks – needles in the haystack? Finding extrasolar planets (planets not in our solar system) is hard — it’s a big universe, after all. However, if you concentrate your efforts on finding “debris disks” (clouds of dust, gas, and rocks) around stars, you might have better luck finding planets. This is because planets form from these disks (also called “YSO disks”). The NASA WISE (wide-field infrared survey explorer) mission almost certainly has images of debris and YSO disks in its image set, but until now, we haven’t had the resources to start looking through them all. Disk Detective, the latest project out of the Zooniverse group, wants you to start sifting and classifying the WISE images. Using the Disk Detective interface, you will find new debris disk stars by looking at flipbooks of images of the star. You’ll be looking for objects that don’t move around or break apart from one image to the next, and that are round and clearly defined. You’ll place a circle marker around the things you think are disks. Why not just have a computer analyze all of this material? Computers still aren’t good at image recognition and usually confuse debris disks around stars with other astronomical objects like galaxies and nebulae. Disk Detective represents NASA’s first foray into citizen science (in terms of crowdsourcing help; of course, it’s always done public outreach and encouraged public participation) and this is it’s first partnership with Zooniverse.